We handed over our Instagram account to Kristin for the day. This is her day in Florence. Ciao everyone! My name is Kristin @kristinhiemstra and I am studying abroad in Florence, Italy at Florence University of the Arts! 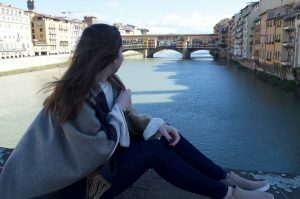 I am a student from @coloradostateuniversity studying Health and Exercise Science, but here in Florence I am studying History and Photography! Today I’m going to give you a glimpse into my life abroad…hope you enjoy! Fun fact: On the first Sunday of the month, all museums are free in Florence! 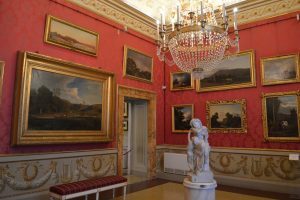 This photo was taken earlier this month when I visited the Pitti Palace and walked through the gallery of Modern Art…definitely a great way to spend a Sunday afternoon! When I don’t have class, I love to explore the city! The Duomo and its Bell Tower are absolutely breathtaking and are at the center of city life in Florence. 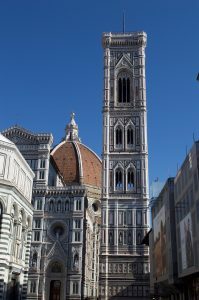 I haven’t had the chance to climb to the top of the Duomo’s dome yet, but that is on my Florence bucket list and I hope to do it in the next few weeks! Before class, I stopped at @pinossandwiches for a quick bite to eat (if you are ever in Florence, THIS is the place to go for a panini—also known as a panino in Italy). 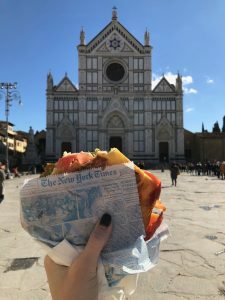 Today, I took my panino to go and sat on the steps of the Basilica of Santa Croce, which I pass every day on my walk to school—not a bad view if you ask me! Finishing off the night at dinner with a few friends! Florence is filled with amazing restaurants, so you really can’t go wrong when it comes to eating out. 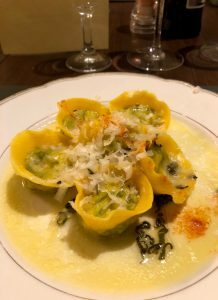 Heading back to my apartment in a food coma, courtesy of Osteria Pastella…thanks for following me around today, I hope it gave you a glimpse into how amazing life is here in Florence!